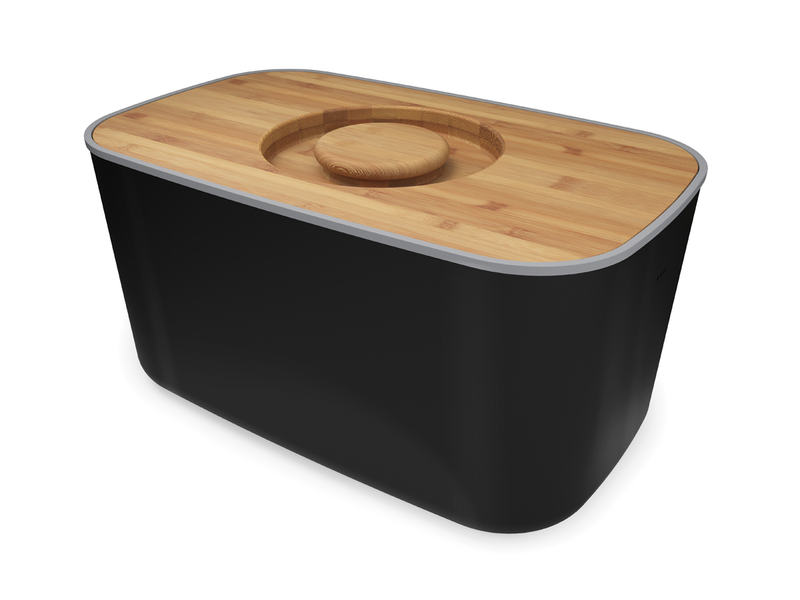 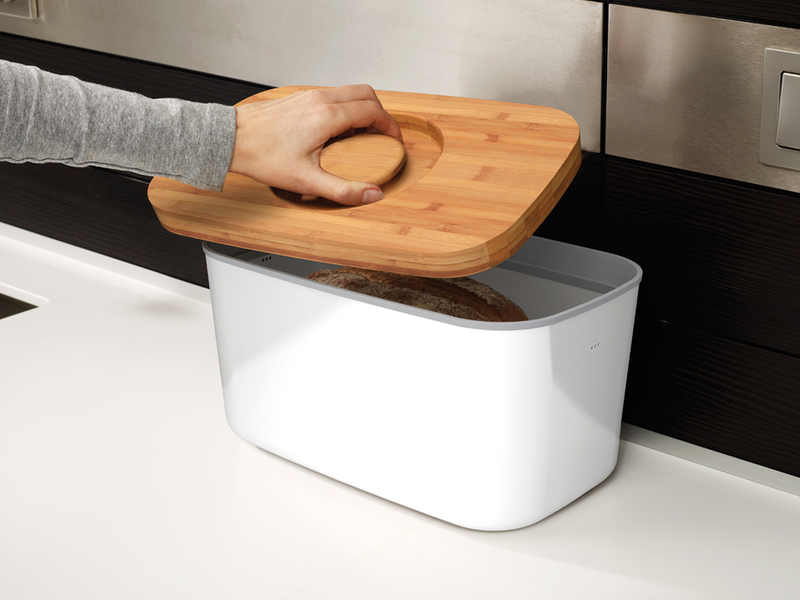 “Keep all your bread, rolls and pastries fresher for longer in this stylish steel bread bin, with a specially designed bamboo lid that doubles as a cutting board for chopping up your bread. 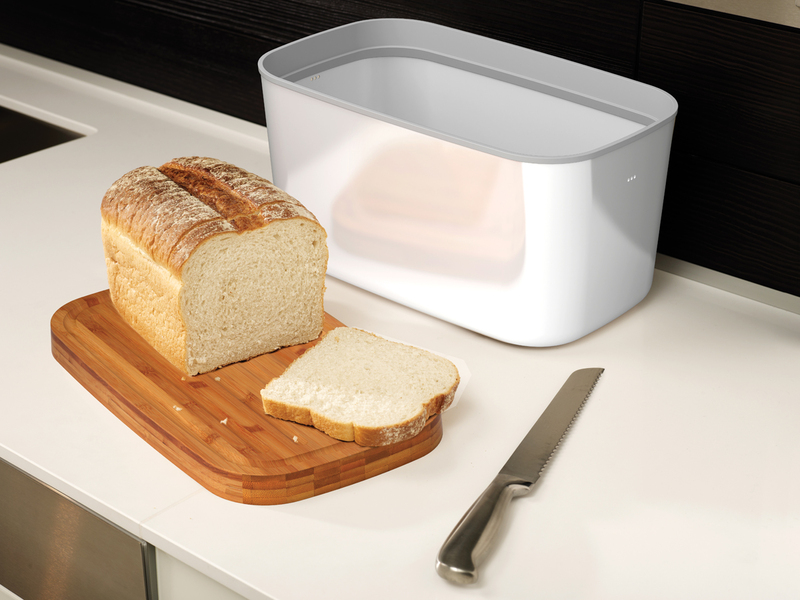 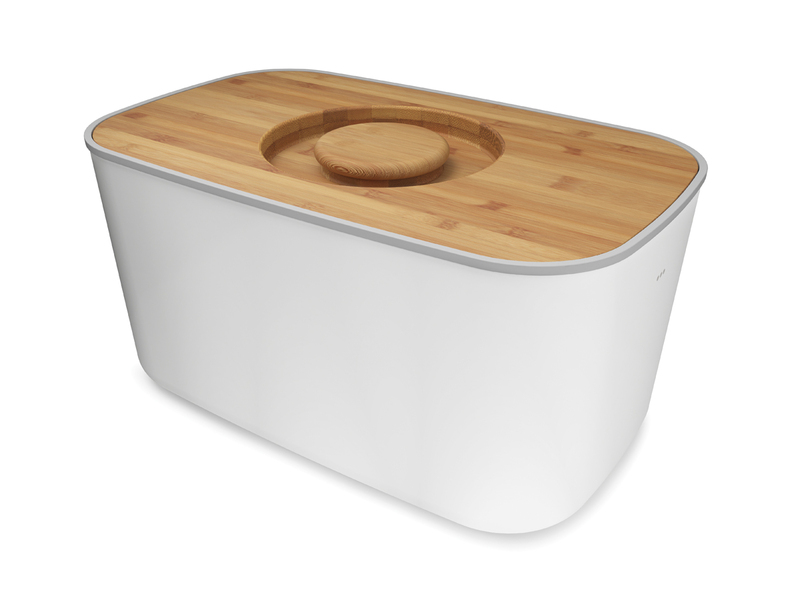 Made from tough, powder-coated steel, this bread bin is the perfect addition to any kitchen. 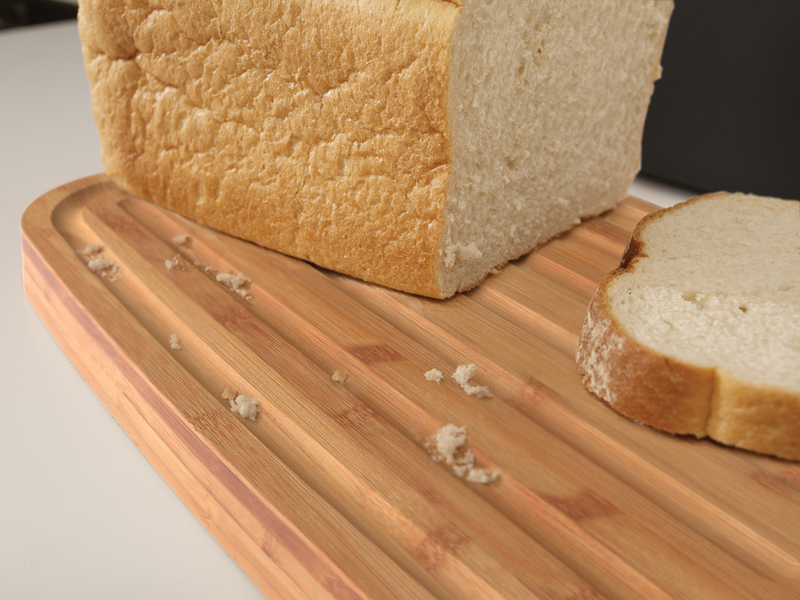 The intelligent design features an easy-lift handle and crumb-catching grooves on the durable bamboo cutting board lid.